All furniture can either be picked up at my studio in Scottsboro. If you need it shipped, please contact me first for a shipping quote. It may be higher than what the shopping cart figures. I can ship USPS, UPS or FedEx, whichever is cheaper or better for you! Vintage cedar chest with newly made upholstered top. I painted the outside a pretty teal with a distressed finish. I left the inside unpainted, just as I found it. 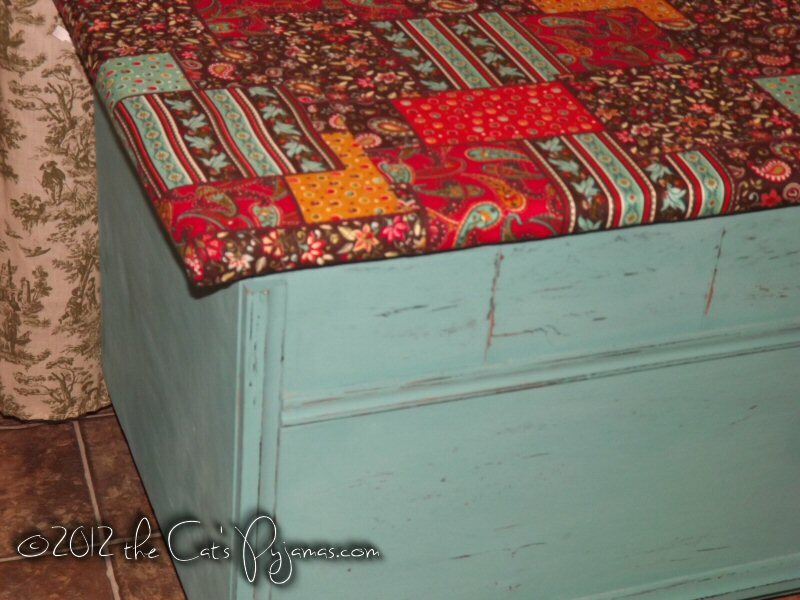 The top is padded and covered with a patchwork fabric. 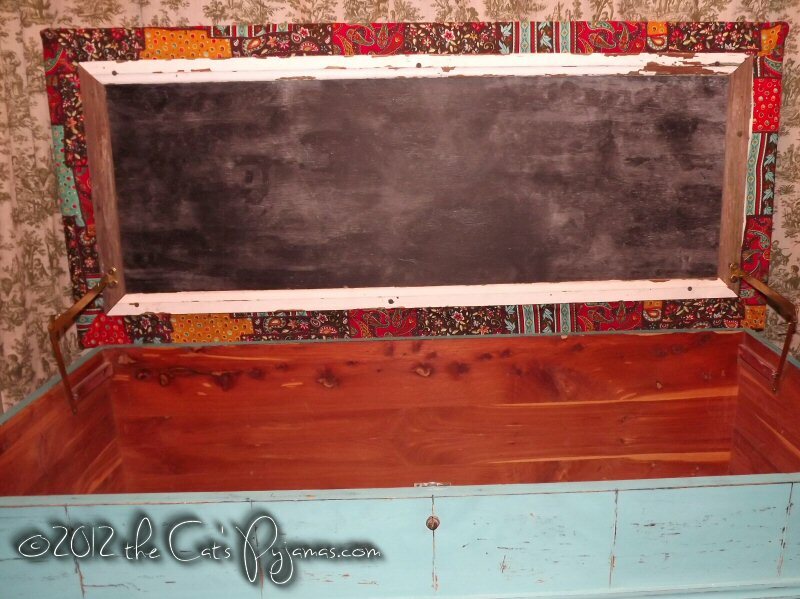 I painted the inside of the lid with chalkboard paint and put some old trim around it as a frame. This is a very big & heavy piece, so it would be best if you could pick it up. But if you must have it, contact me and I will give you a shipping estimate to your address. I thought this would be a great graduation or wedding gift, a nice "hope chest"! 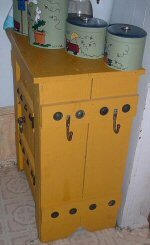 Here is a cabinet made by my husband, from his own design. It is made of rough wood and painted mustard. Measures 32" tall x 26" wide x 15.5" deep. There is one shelf inside and 2 rusty hooks on the side. Has a latch on front door. This is one I've used, but is in good condition, works very well for holding canned goods, etc.!! Email me if you have any questions. Shipping is not included in the price and will be billed separately based on your zip code.